Social media has democratized influence, forever changing the way businesses communicate with customers and the way customers affect the decisions of their peers. With platforms like Twitter, YouTube, and Facebook, anyone can now find and connect with others who share similar interests, challenges, and beliefs - creating communities that shape and steer the perception of brands. Without engagement in these communities, we miss major opportunities to shape our marketing messages. Great content, but why so pretentious? 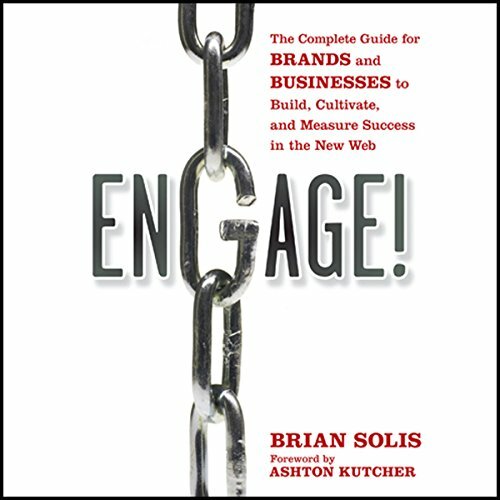 Brian Solis is a very highly regarded experts on new and social media. I was looking forward to listening to his book, but after the first 20 minutes, I actually felt sorry for the narrator! The book/script has been written in unnecessarily complex and over-the-top language, that it just comes across as pretentious. I know that Brian is will be an intelligent man, but I believe it would have been more worthwhile and thoughtful to make the book punchy and easy to follow, rather than trying to impress people with his mastery of English language. Good content, but this really did put me off. Keep it simple, if you're going to do another book, Brian. And get over yourself, if you think it's clever to try to impress people with your lexicon. Ironically, he advises people to get their point across clearly and concisely, but does the exact opposite.